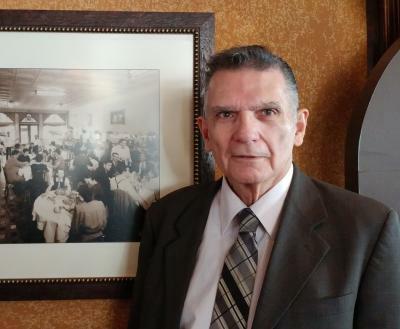 As George Guito tells it, the Columbia Restaurant "saved my life." Guito was 15 in 1962 and headed the wrong way when he met Cesar Gonzmart, owner of the landmark restaurant in the heart of Ybor City. Gonzmart put Guito to work cleaning up. Fifty-five years later, Guito still calls the Columbia his home. Over the years, he has worked nearly every job the restaurant has. So today he works for Cesar Gonzmart&apos;s sons as the restaurant&apos;s general manager. But it almost didn&apos;t happen. At first, Cesar thought George was too young to work. But George begged him to give him a chance. He was paid $35 as a "porter" to mop floors and clean bathrooms six days a week. Guito became a busboy before long, and worked odd jobs at the restaurant. Cesar returned his loyalty that found a way to reward George and the restaurant: He paid for Guito to attend butcher school. Guito began cutting all the meat for the kitchen. While working in the kitchen, he learned how to buy produce and supplies, and to cook. When the chef retired, he temporarily took on the cooking. Over the years, he has installed dishwashers, wired the computers, fixed the fountain when it flooded and hung the chandelier. He has worked every job in the restaurant except tending bar and performing in the nightly flamenco dance shows. Today George knows how to cook everything on the award-winning restaurant’s menu. At his home in West Tampa, paella is his signature dish.